20th Century Fox announced today that “Rise of the Apes,” the prequel to Tim Burton’s 2001 “Planet of the Apes” will be released on June 24, 2011. The new film will be directed by Rupert Wyatt, director of the 2008 film “The Escapist,” that starred Brian Cox, Damian Lewis, and Joseph Fiennes. The movie is expected to explain how the apes came to power, and the advanced civilization was born. The main difference between this movie and its predecessors is that there will be no ape costumes. That’s right – the apes will be completely CG. 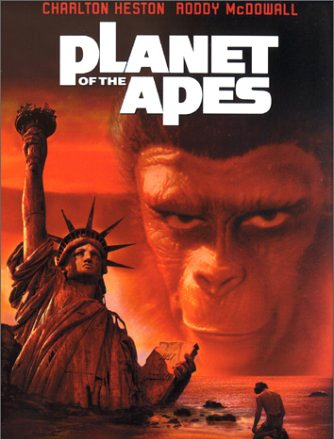 In my opinion, there is absolutely no need to make a sequel or prequel to “Planet of the Apes.” If anything is done, I would say it’s time for a reboot. But that is still the last resort. Let’s just hope that they don’t go one step further, and make it 3D.